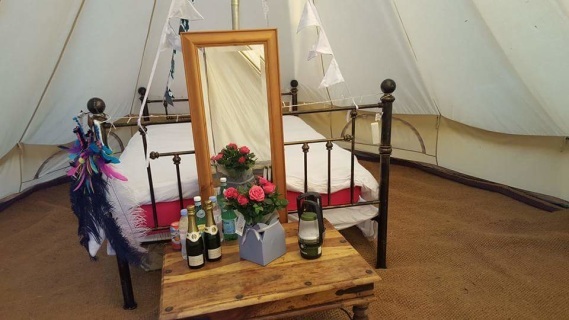 This Bell Tent includes pitch only. 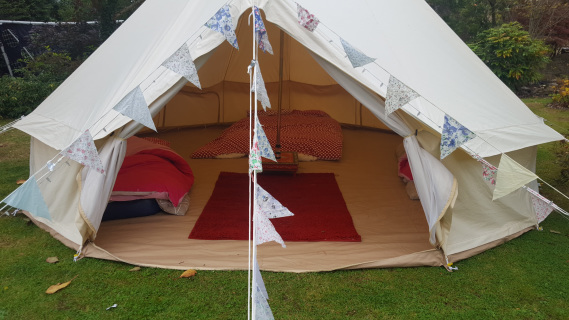 This Bell Tent includes pitch, one double air mattress, table, bunting, fairy lights and a rug. 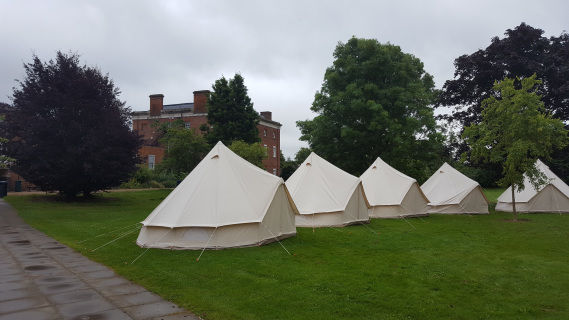 No Bedding. 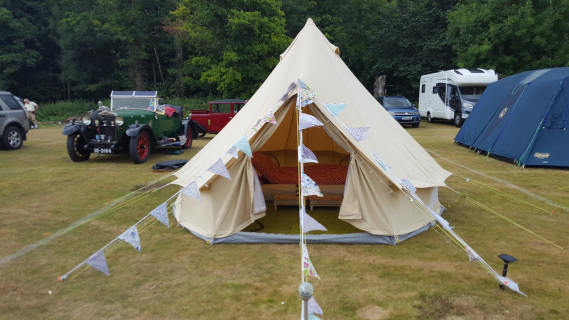 This Bell Tent includes pitch, one double air bed, fairy lights, table, bunting, rugs and a bedding package. 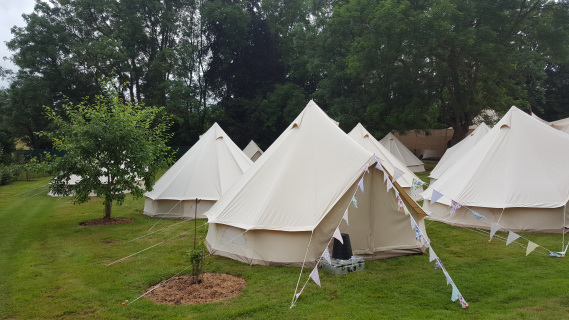 This Bell Tent includes pitch, one double air beds, fairy lights, table, bunting, rugs and a bedding package. This 5 meter bell tent includes a double wrought iron bed, fairy lights, table, bunting, rugs, deluxe bedding package.